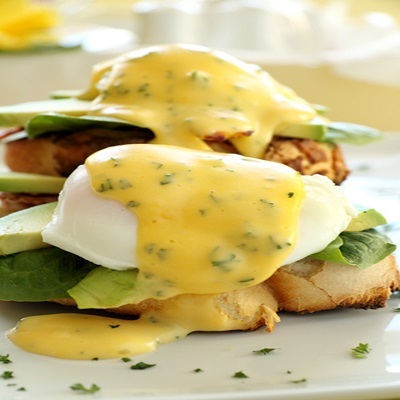 Make this easy Hollandaise sauce in the microwave in seconds. Can be whisked by hand if you dont have a food processor. This recipe serves two and can be doubled for a larger serving. Whisk the egg yolk and vinegar together in small bowl or mini food processor. Melt the Alfa One Spread until bubbling and whisk a little at a time into the egg mixture or pour in a steady, thin stream into the food processor with the motor running. Heat in the microwave for 10 seconds on high and whisk until the hollandaise is thick and combined. Repeat until desired thickness is achieved.